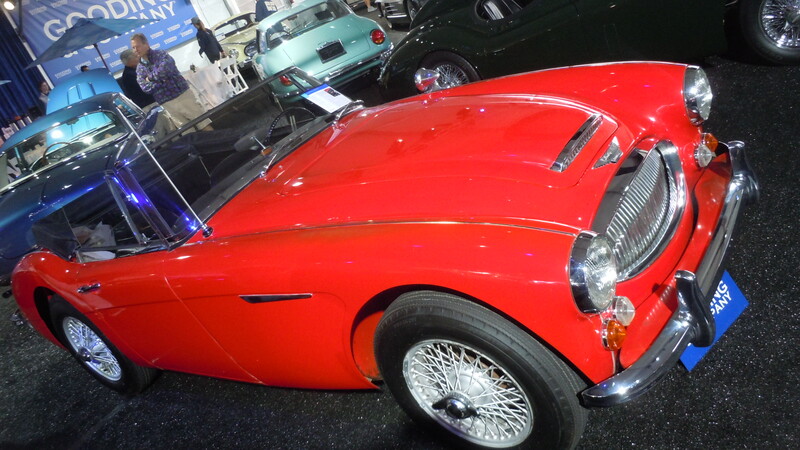 ← Macca at The Colbert Report – Being for the Benefit of Nikki – Thanks! 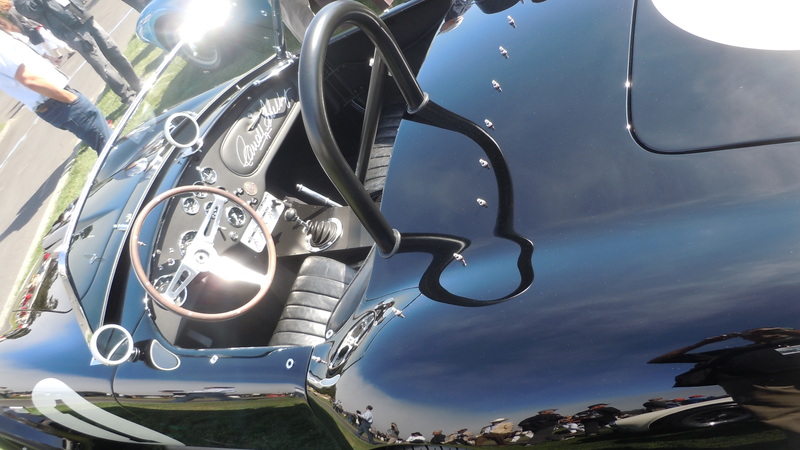 A beautiful frame can enhance even the most perfect painting. 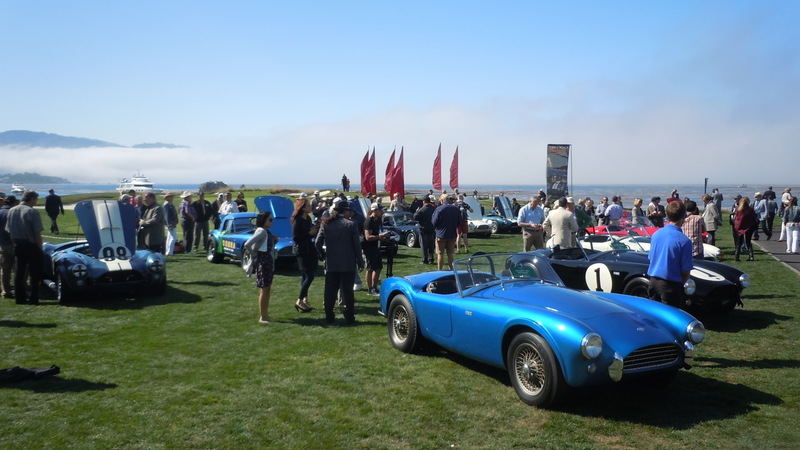 So, imagine framing some of the world’s most exquisite creations of automotive excellence with the vistas of the Monterey Peninsula. 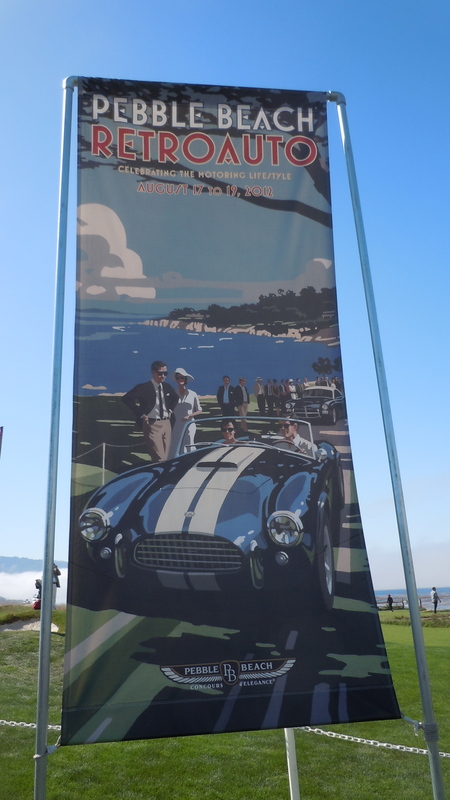 It happened last week, and the result was a more than perfect picturesque four days at Carmel by The Sea at The Pebble Beach Concours d’ Elegance car week, where classic motorcars and the elegant style of bodies of every shape and style, sat side by side along the vistas of The Pacific Coast. 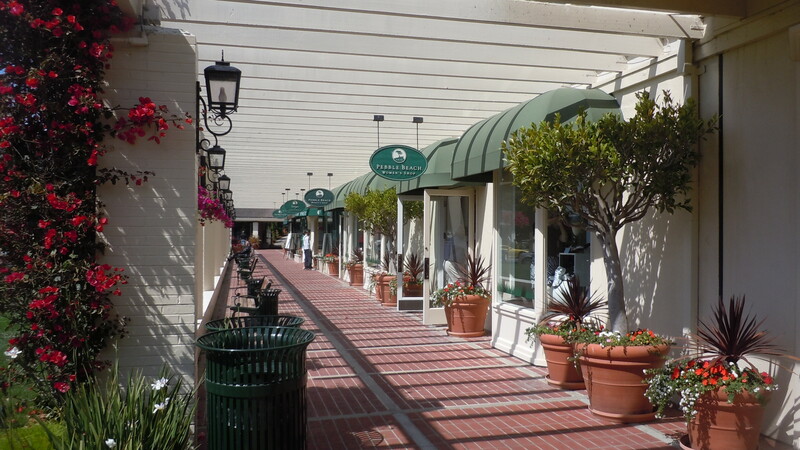 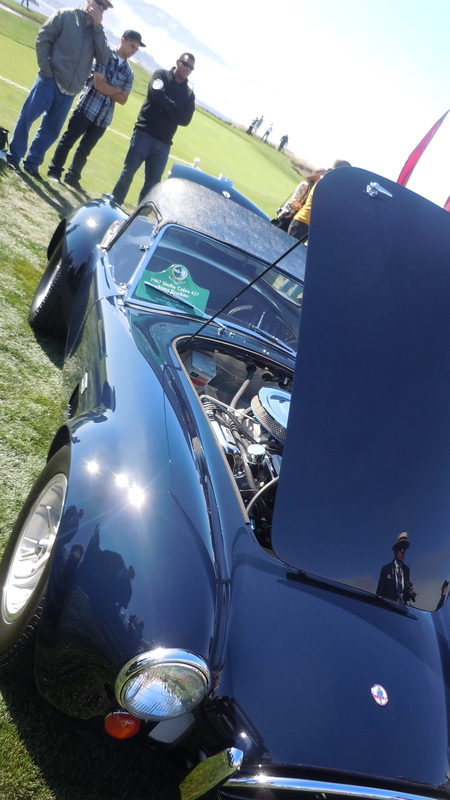 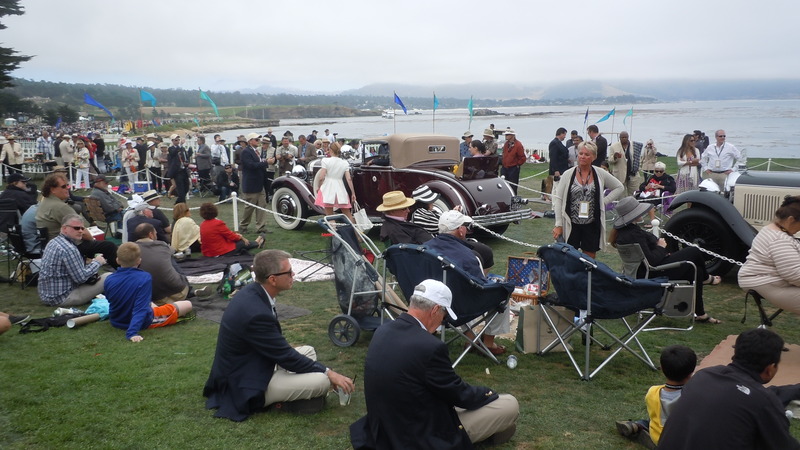 The Concours d’Elegance in Pebble Beach, CA is THE show of shows. 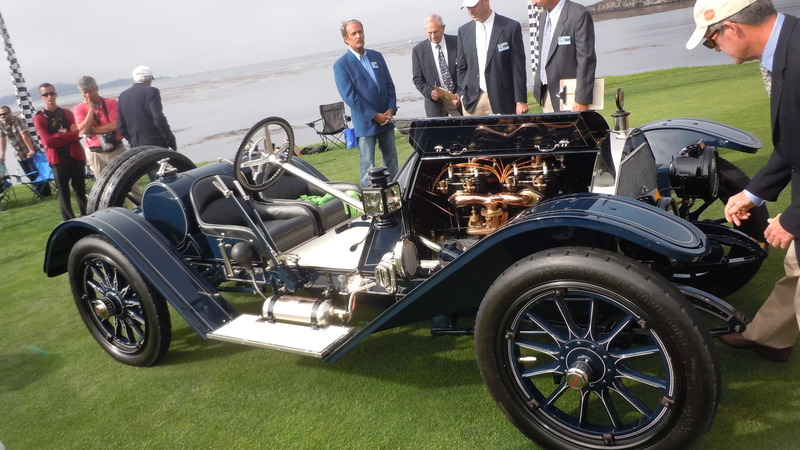 251 examples of the most impeccably-restored gems of automotive engineering from all over the globe and throughout history rested comfortably on the 18th fairway of one of the world’s most storied courses, seemingly taking up golf like every retired specimen of life dreams of. 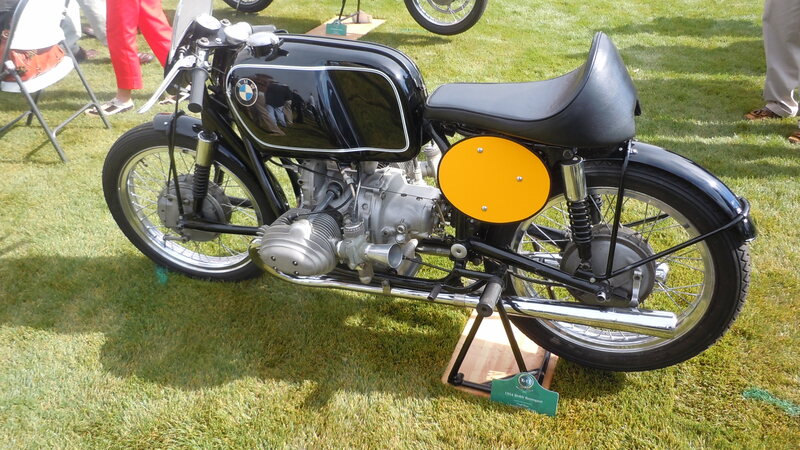 And while so many were so perfect, only one would be awarded “Best of Show”. 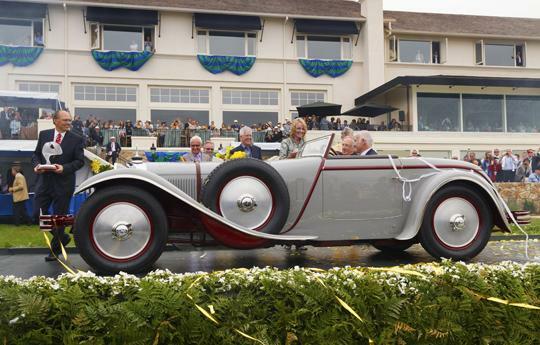 The honor went to Paul & Judy Andrews of White Settlement Texas, whose 1928 Mercedes-Benz 680S Saoutchik Cabriolet, pictured below, took top honors. 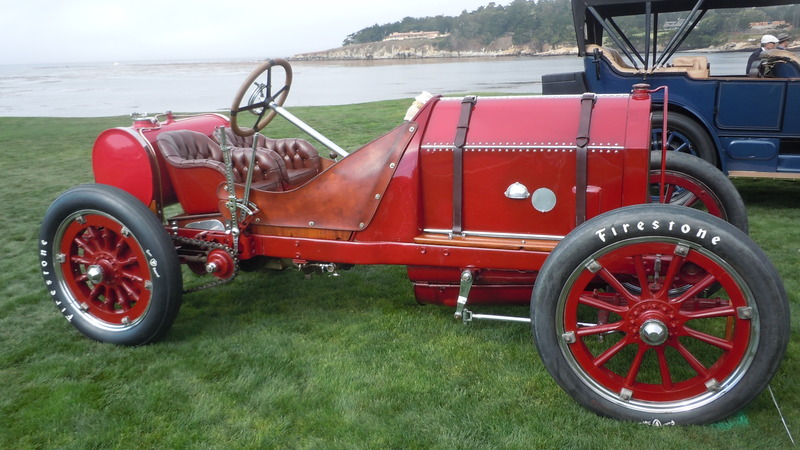 But honoring restored machinary was just a sidebar. 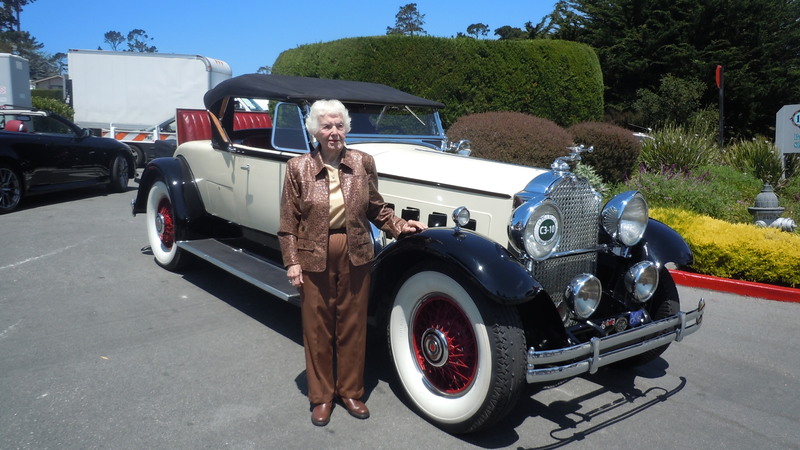 One of the most impeccably preserved examples of well-worn history has to be 102 year-young Margaret Dunning, who drove to Pebble Beach in her 1932 Packard, which she has owned since 1949 and maintains primarily by herself. 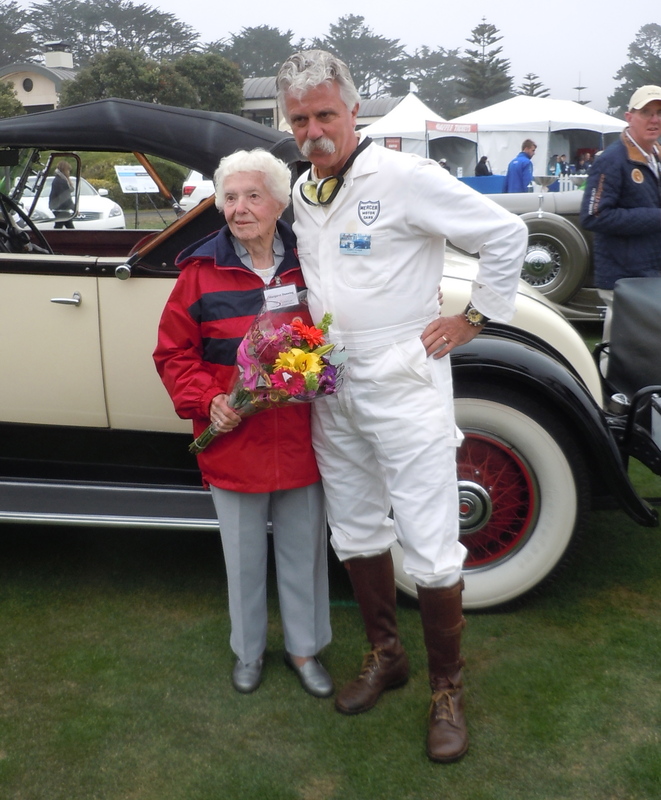 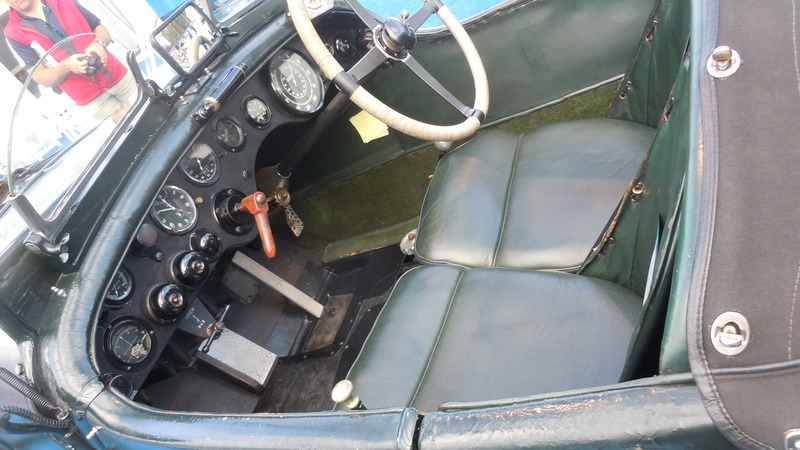 Dunning received a special award from the Concours’ Judges who recognized her tenacity and attractive stubbornness, outlasting many men in the car appreciation world before her. 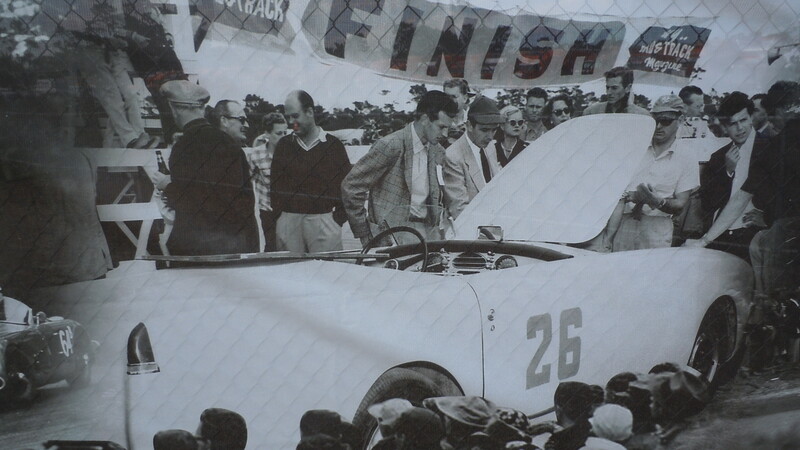 These photographs paint more than colors and history, they bring us back to a time of innocence and adventure that we so long to return to. 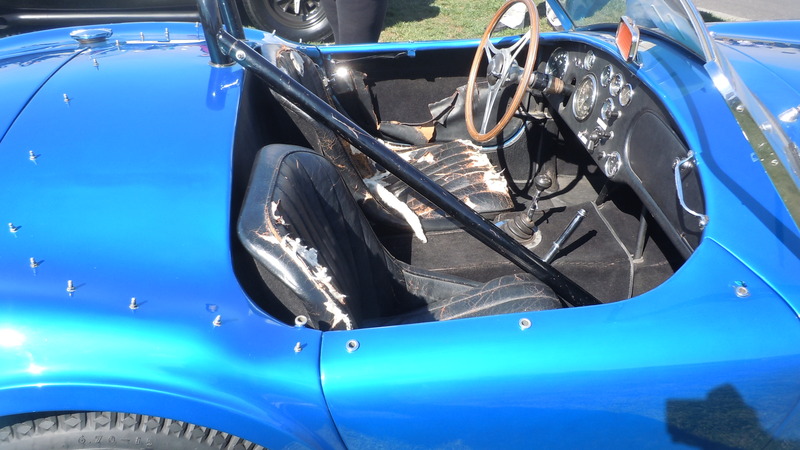 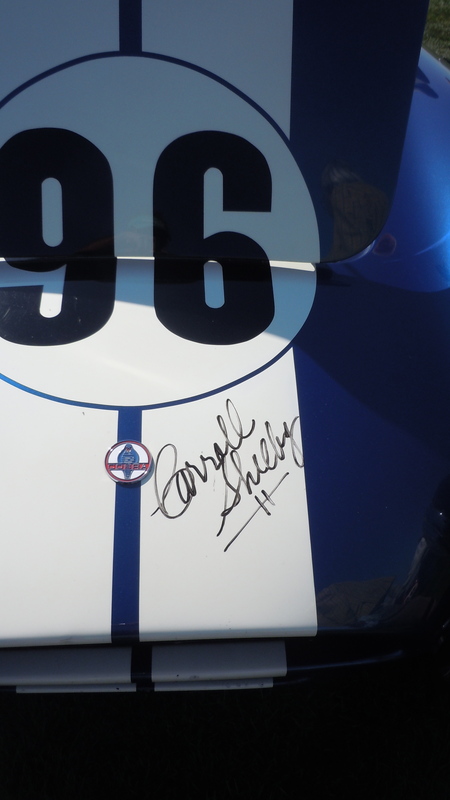 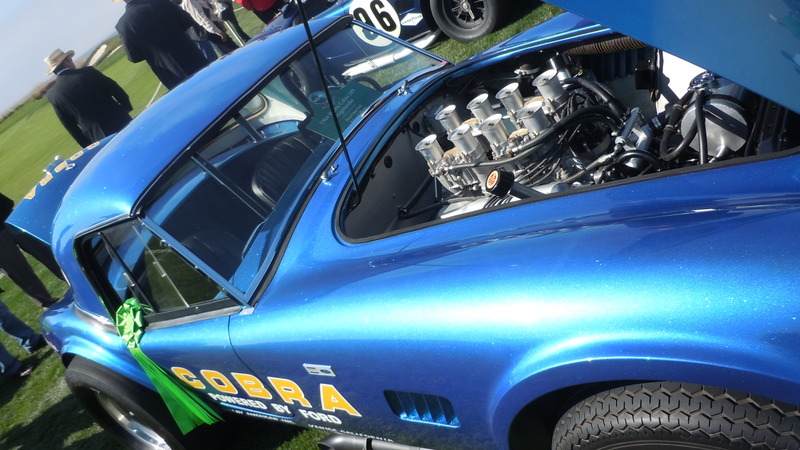 For fans of historic Shelby speedsters, the Retroauto section contained a rare collection of original Cobras, some gracing the signature of “Sir” Carroll Shelby himself. 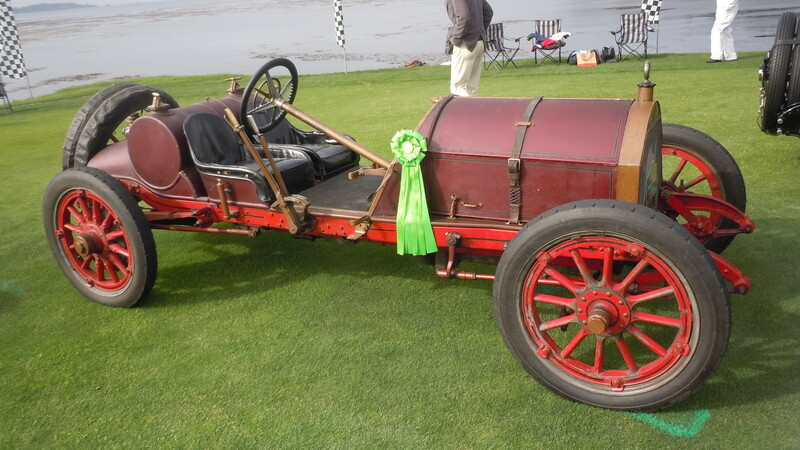 Among those proudly on display, included the one that was personally driven by Carroll in one of his first races. 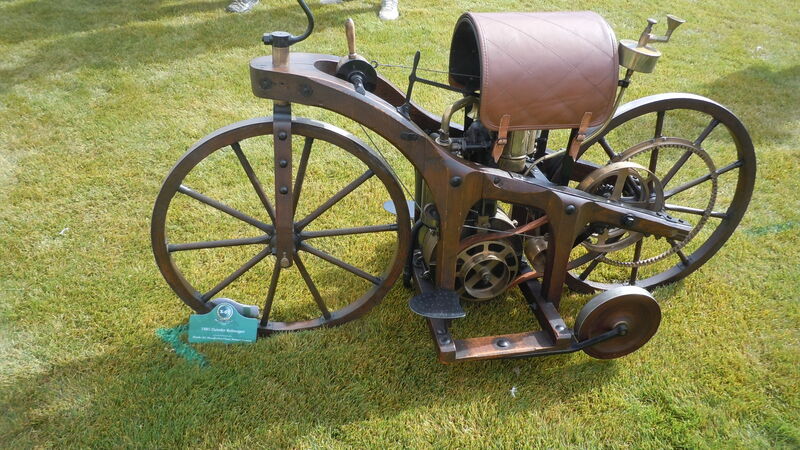 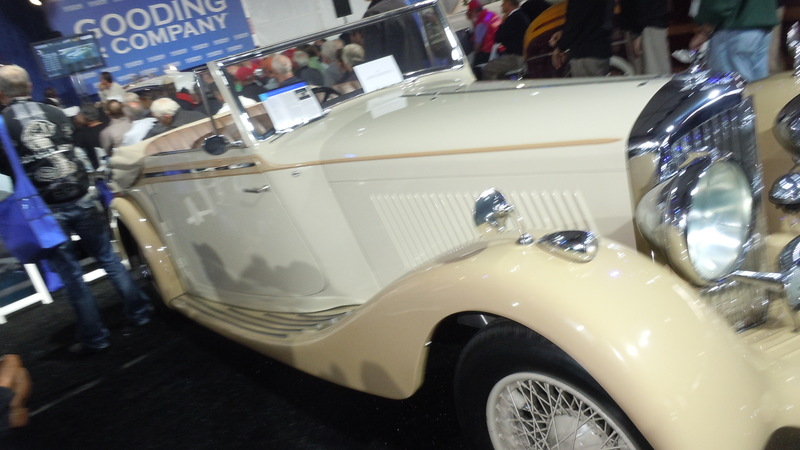 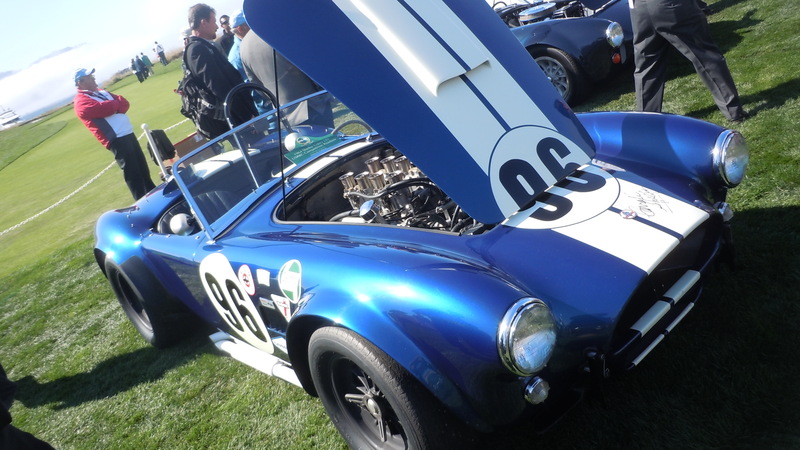 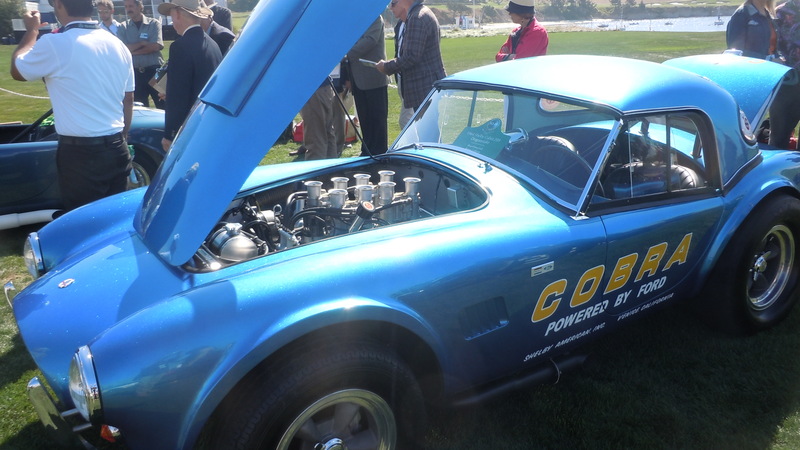 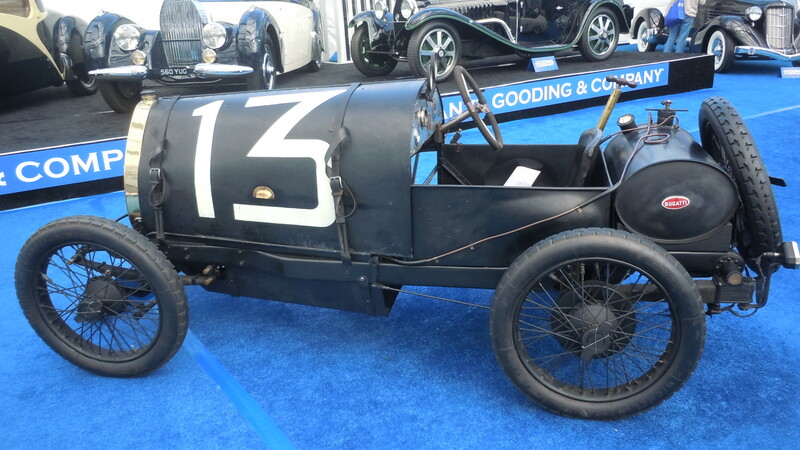 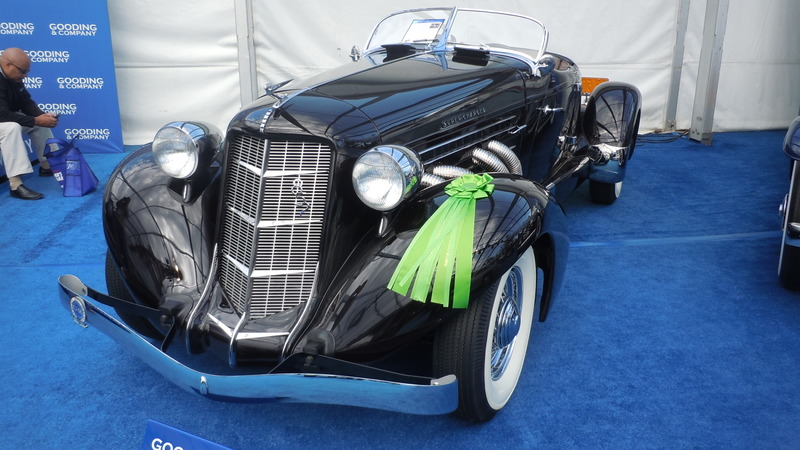 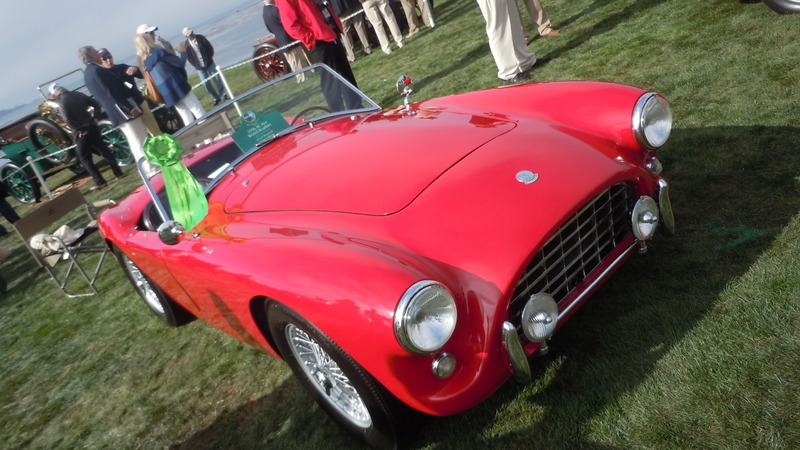 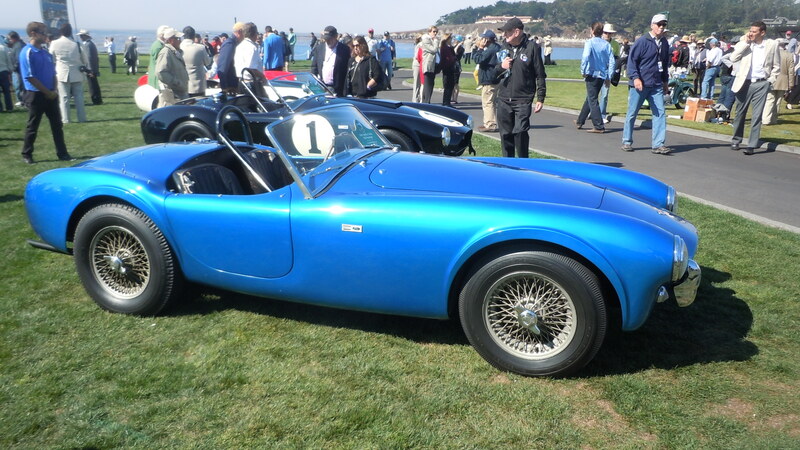 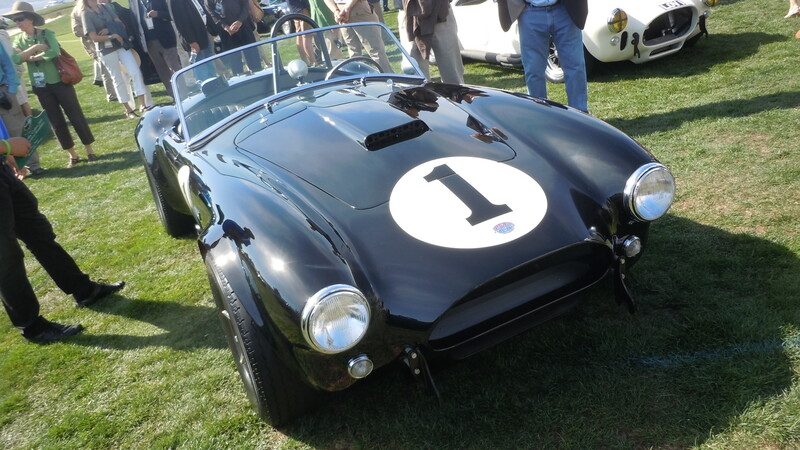 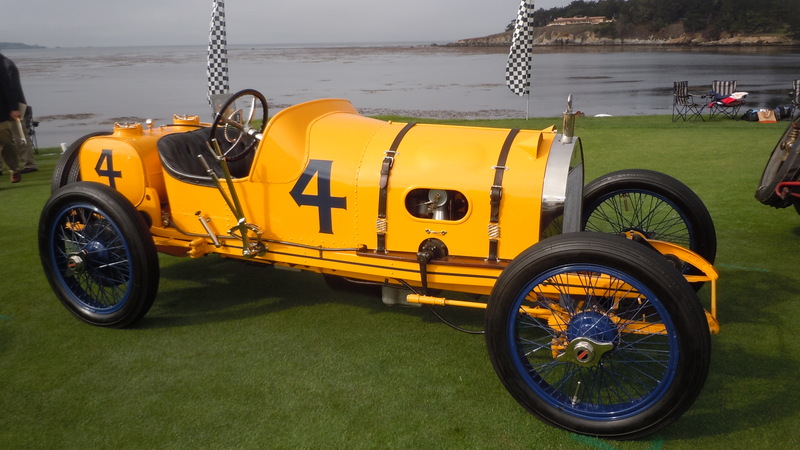 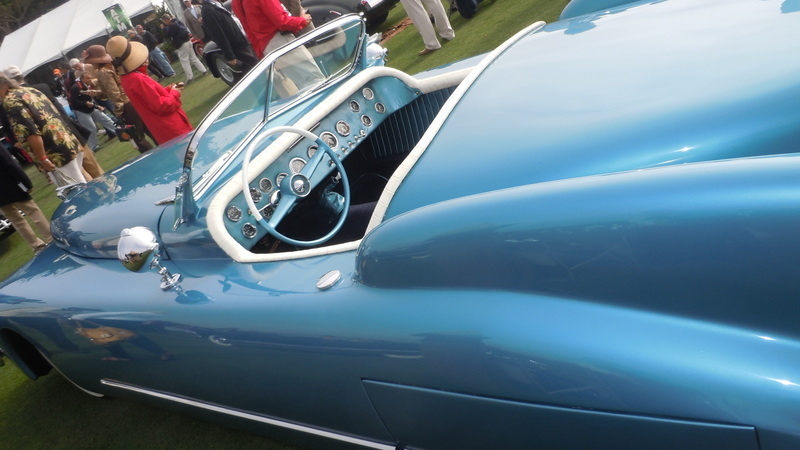 The Gooding and Co. Auction was another exciting component of the weekend in Pebble Beach. 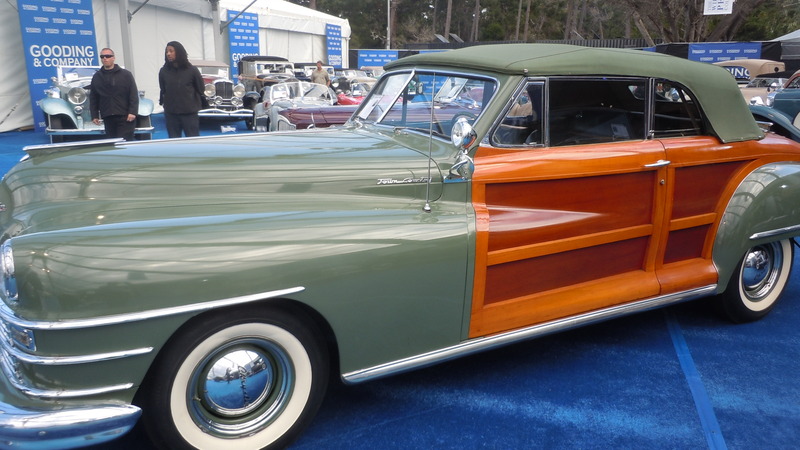 Tonight Show host Jay Leno’s Fiat 500 Prima Edizione, initially valued at $25,000 to $35,000, sold for $385,000 and attracted an additional $215,000 raising a total of $600,000 for the Fisher House Foundation. 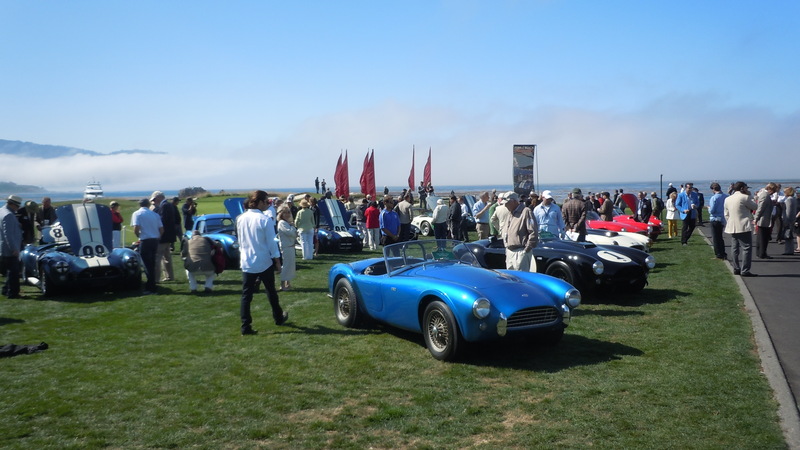 Also in attendance were Steve Carrell, George Lucas, Adrien Brody and Adam Carolla. 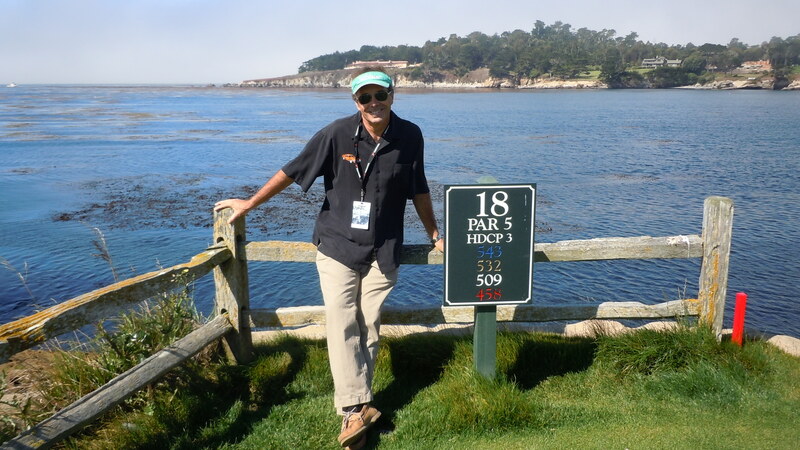 Sunday August 18th, 2013 at Pebble Beach. 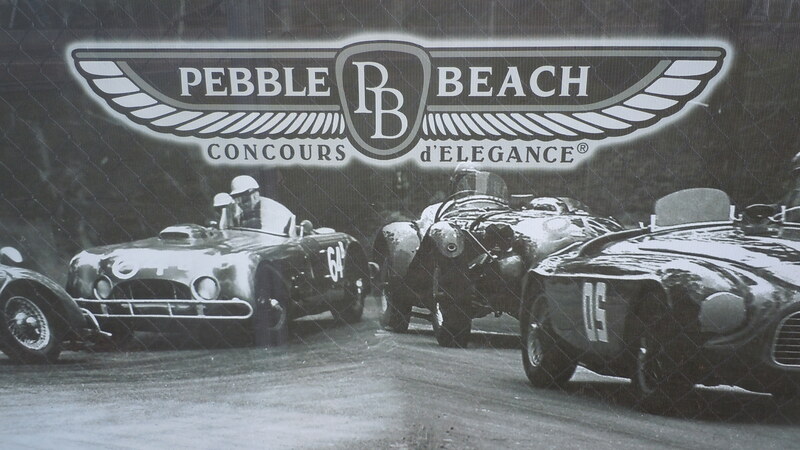 Go to http://www.pebblebeachconcours.net. 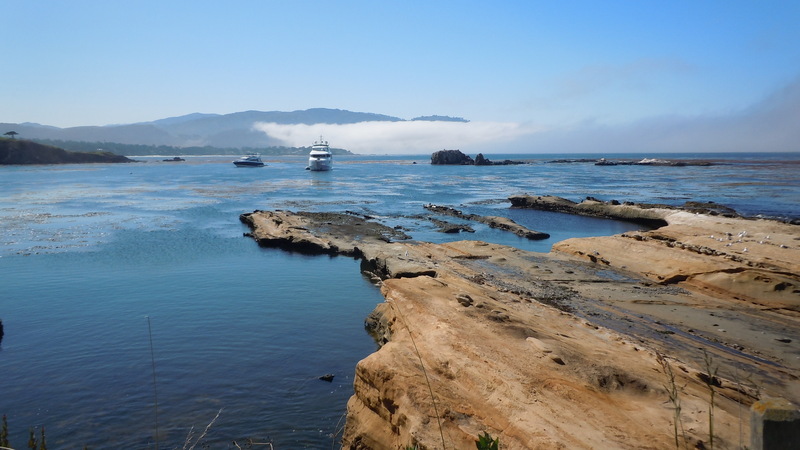 Photos and story by Joe Johnson, below.